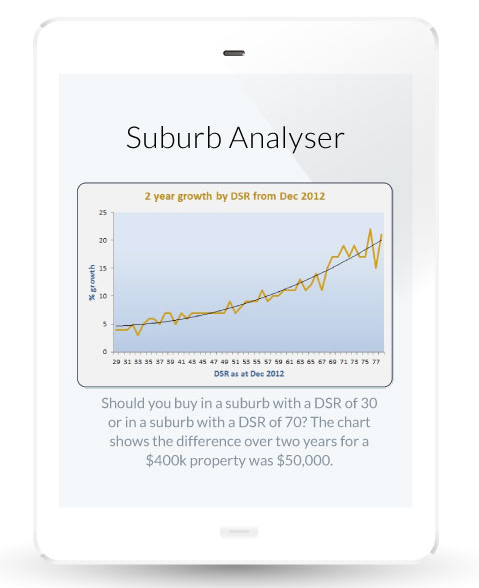 Location Score is the quickest and simplest way to decide where to buy profitable property all over Australia! For property investors or budding home buyers: if you want to buy in a suburb that is showing potential for capital growth then LocationScore is a must for you. LocationScore is a leading edge property-research platform that interprets big data to analyse and score every suburb in Australia. 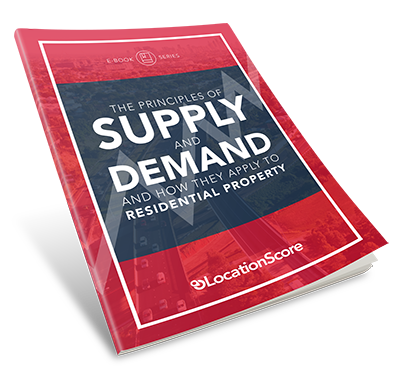 It scores each suburb, on a monthly basis, out of 100 (houses and units are scored separately), using eight key indicators that measure the level of supply and demand. One of the fundamental laws of economics that determines the price of all goods and services is supply and demand. They are fluctuating states that work together, counterbalancing the other should it rise or fall. The question is: what indicators can you measure to track the level of supply and demand in the property market? There are a lot of potential variables to consider when assessing supply and demand, such as: population growth, economic activity, and infrastructure development. Wanting to unscramble the puzzle, we started our analysis in 2010 and identified 8 broad indicators that had a clear correlation between price growth and levels where demand exceeded supply. The score found for each suburb isn't just about combining all the 8 indicators-there is theory behind it. 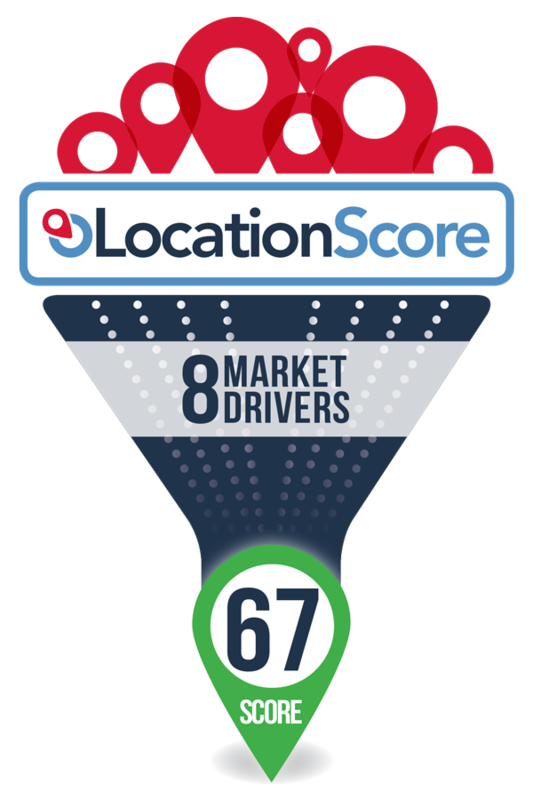 Each one of the indicators has a different level of impact on the property market and so LocationScore uses a secret weighting within its algorithm to produce it s scores. It goes without saying that any property buyer would get lot of comfort and confidence knowing they are buying in a location with strong prospects for capital growth. LocationScore helps locate the ‘better’ suburbs—those that indicate demand for that area is stronger than current property-supply levels. Such an imbalance raises the potential for short-term capital growth! It makes for a very good location to start searching for a property indeed. LocationScore was developed out of a ‘meeting of minds’ when Jeremy Sheppard, Ben Kingsley and Bryce Holdaway sat down and started to compare their property research notes and findings regarding capital growth drivers. The property market is made up of thousands of market within markets, and at any one time, the vast majority of markets are not showing the demand to supply imbalance that we look for when searching for capital growth. It’s these suburbs that one should avoid to buy in. Instead, using LocationScore, which scans over 15,000 suburbs on a monthly basis and then scores them out of 100, subscribers have a competitive advantage in fast tracking their research to only a select few locations. That’s a huge time save for one, but more importantly, buyer in a superior location vastly increases the potential for superior capital value increases if they buy well within that suburb. How do I use LocationScore features? How do I learn more about the 8 key indicators? This browser is not supported, please upgrade to one of the following browsers. IT'S OK, I UNDERSTAND THE RISK!